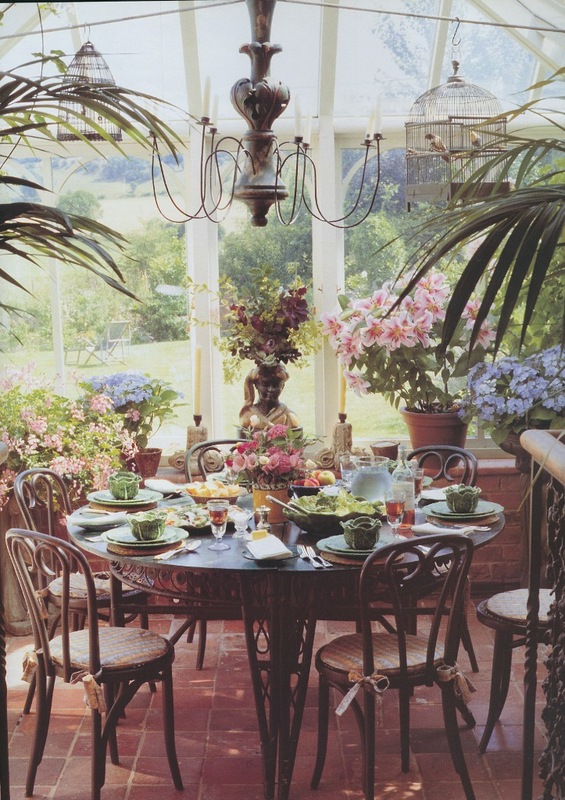 The Peak of Chic®: How Does Your Garden Room Grow? You'll be excited to know that my experiment with growing fruit on my balcony has proven, yes, fruitful! Okay, so you may not be all that excited about it, but I am. My strawberry plant has produced two berries so far. 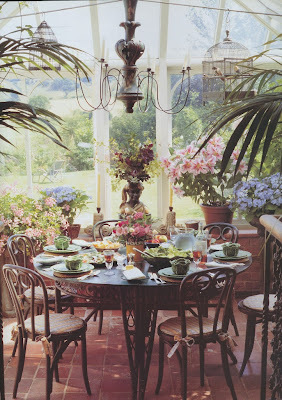 Now that I've become an urban gardener (wink, wink), I've taken a new shining to both gardening and garden room decor. The book is filled with all kinds of beautiful photos of garden rooms, conservatories, and outdoor spaces that were designed for living. 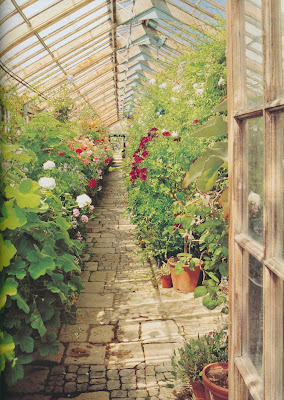 These were not merely spaces in which to grow plants. The book got me thinking about how I might decorate my own garden room or conservatory. 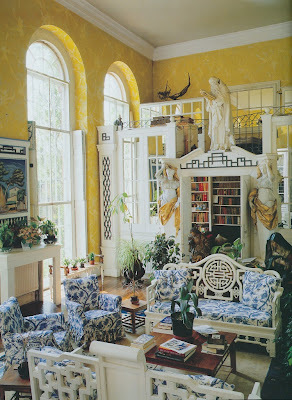 Below, you can see some of the things which you might find in my garden room- if I had one, of course. There would be places to nap or read and of course a table at which to take lunch or cocktails. The decor would be very traditional. For me, I just can't see a modern, stark, nor glamorous garden room. It's got to be traditional, cozy, and quaint. 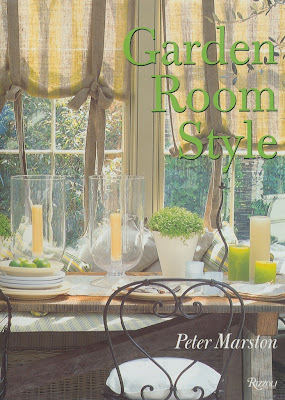 Scattered amongst my selections, you'll also see photos of various garden rooms that were featured in Garden Room Style . 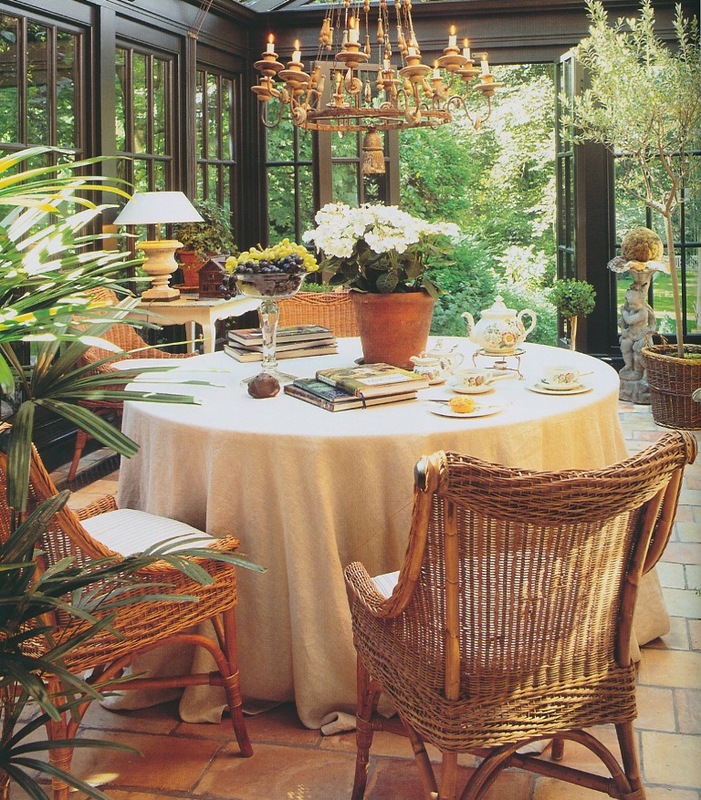 So, what would you select for your garden room? I would probably have some type of outdoor bench and chairs in my garden room, with lots of cushions on them, of course. This set is from Munder-Skiles, a wonderful source for garden and outdoor furniture. 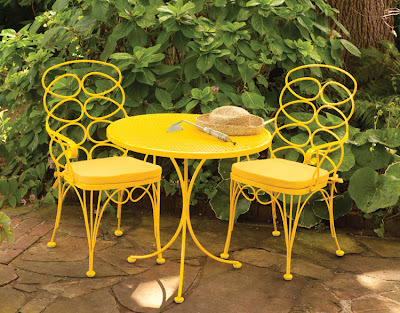 The Gelati Bistro Set from Charleston Gardens is reminiscent of Frances Elkins' Loop Chair. 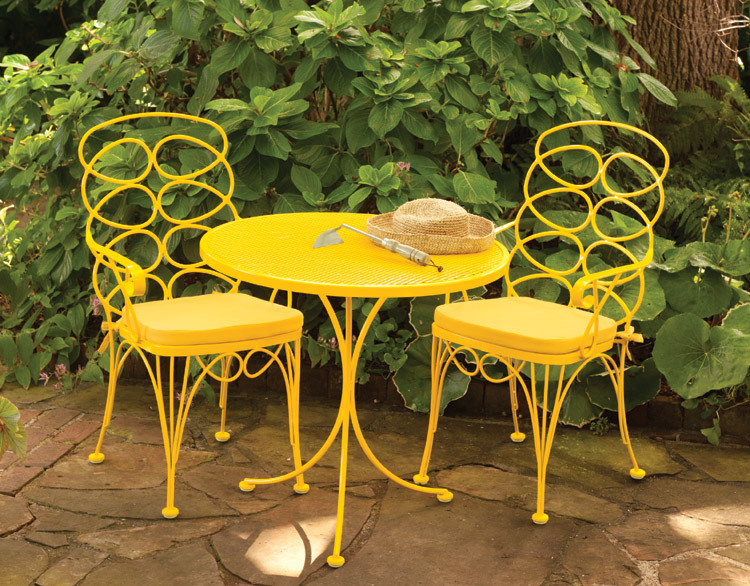 I think this set would be charming on a patio, balcony, or by a pool. It also comes in other colors as well. 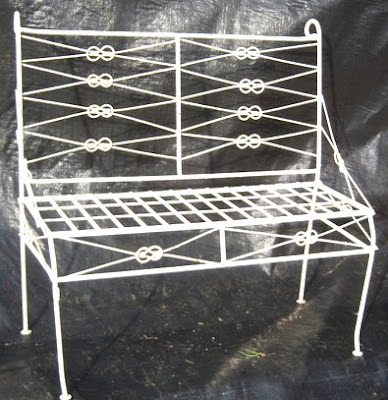 The Wrought Iron Bow Knot Bench from A Rustic Garden might add a vintage feel to a conservatory or patio. 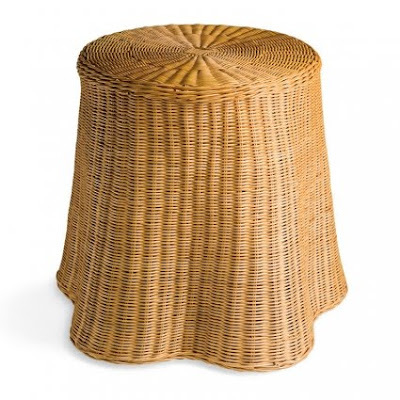 I feel that wicker is a must for an indoor garden room. 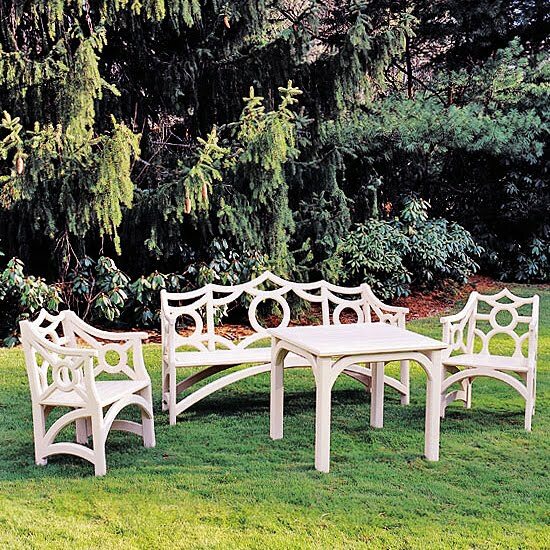 This Ripple Circular Table from Soane is both quirky and quaint. 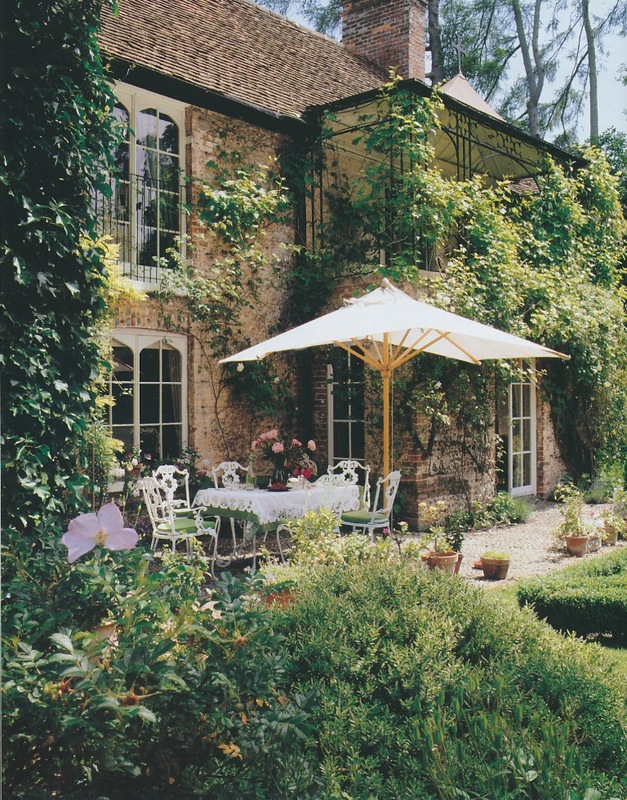 A place to store garden books and garden related ephemera is necessary. 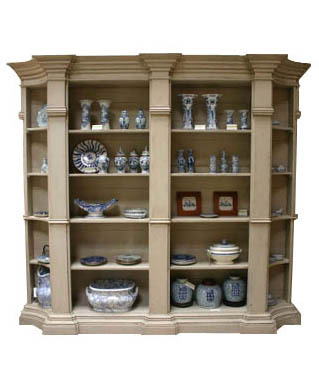 Why not this Hollyhock Reproduction English Regency two part bookcase with grisaille finish? 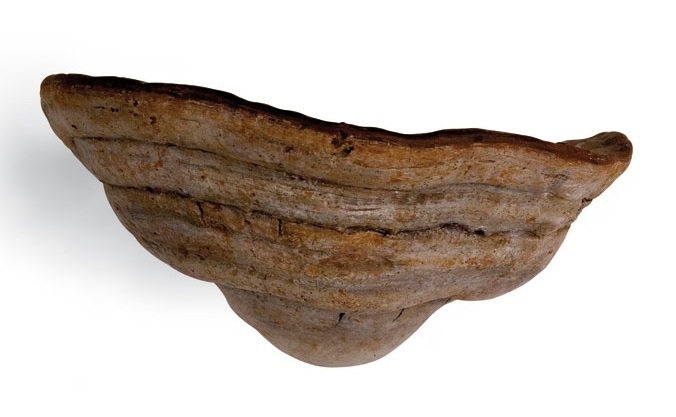 How great is the Funghi Uplighter from Soane? So clever. I actually think it would look smashing in non-garden rooms as well. What about putting a pair in a garden library? 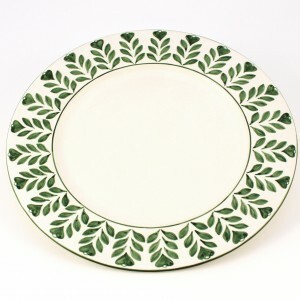 Garden room dining begs for bamboo or wooden handled flatware and floral motif china, much like this Twig Dinner Plate from Treillage. You have to have something growing in your garden room. 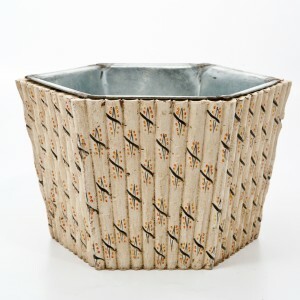 A fern or something wispy would look nice in this Faux Bamboo cachepot from Treillage. 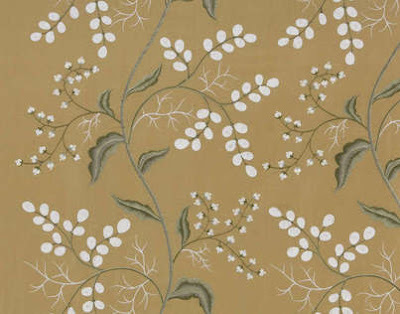 Serenite from Pierre Frey, an embroidered fabric, would be a nice choice for a chair, settee, or even a tablecloth. You see? 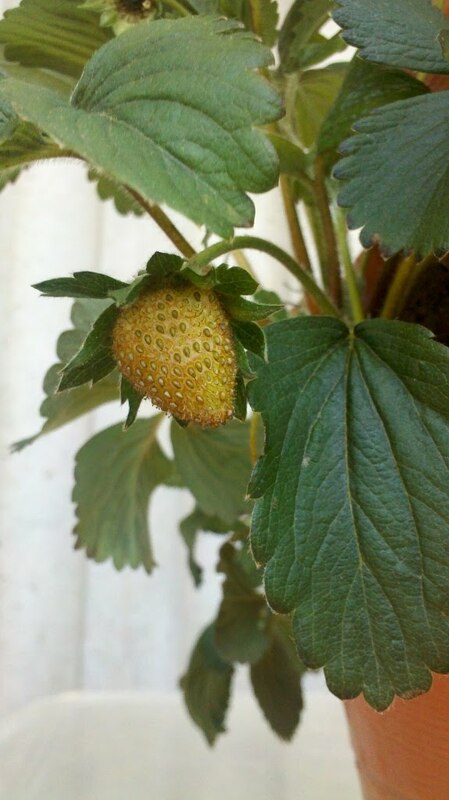 There really is a small strawberry growing in my balcony garden. 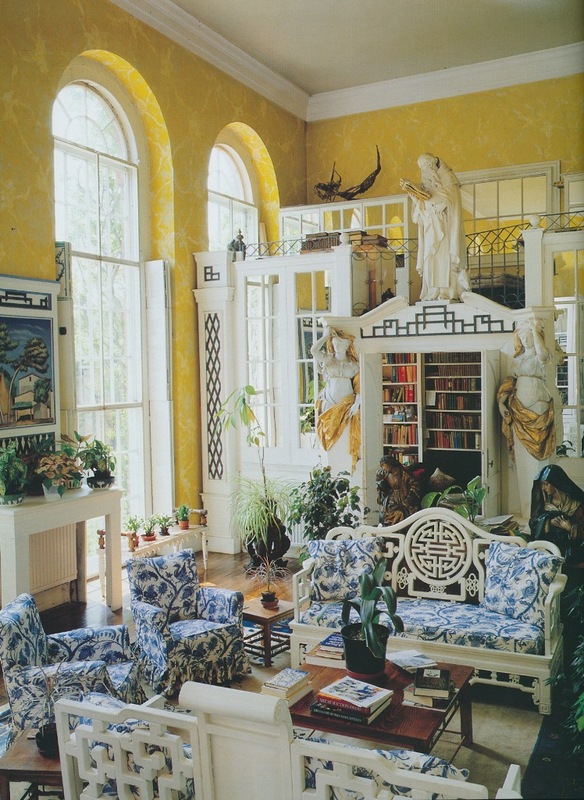 All garden room photos are from Garden Room Style by Peter Marston, Rizzoli, 1998. Strawberries on your window sill? that is quite an achievment. 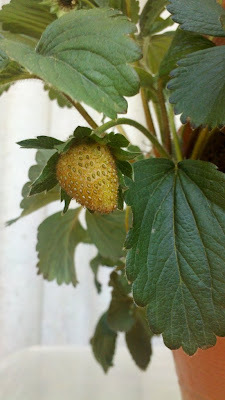 The kids have been picking the strawberries "Grown on our Balcony" for the past few days...We Grown-Ups are "Im"- Patiently waiting for the first fruits of our labor: Potatoes, Corn, Lettuce, Carrots, Cucumber, Peas, Beans, Tomatoes.... all from a little space in the back yard! Nothing edible being grown on mine - at least not to human being. Aphids have rather taken over the climbing rose and lie in wait for the morning glory shoots. Strawberry teas on the terrace later in the season? So nice to see you leafing out! Two strawberries! A most fruitful beginning. In my remodel project (otherwise known as the project from hell in slow-mo), we replaced old windows on the entire back side of the house with what I'm calling "garden view" windows. Our climate does not treat French doors with kindness, we never open our windows (allergies) and I used double pane low-E fixed windows. It's like living in a tree house! Good luck with your garden. I always say bloom where you are planted! The whole post is inspirational, the book the goodies from Treillage the wallpaper and your strawberry success!